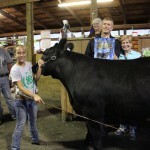 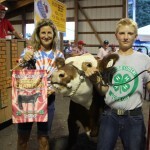 The Summit County Junior Fair Livestock Sale set some new records July 30. 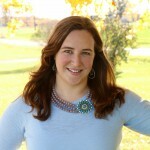 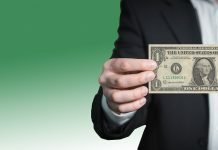 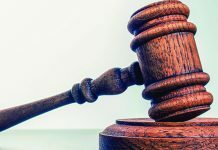 Buyer: James M. Brennan, DDS Inc. 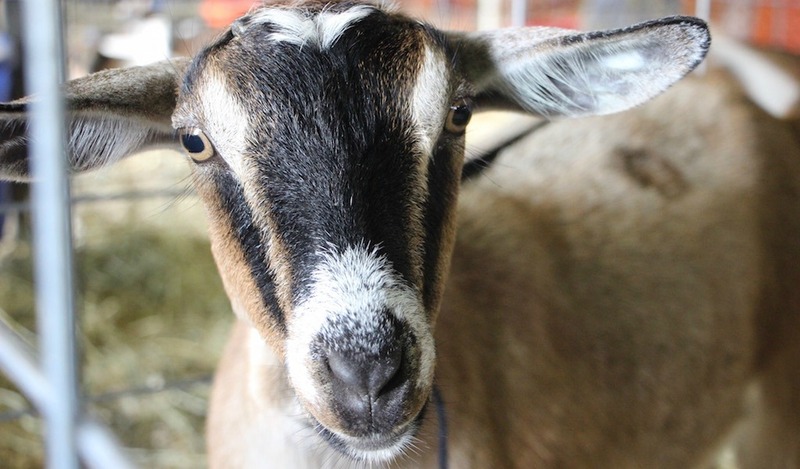 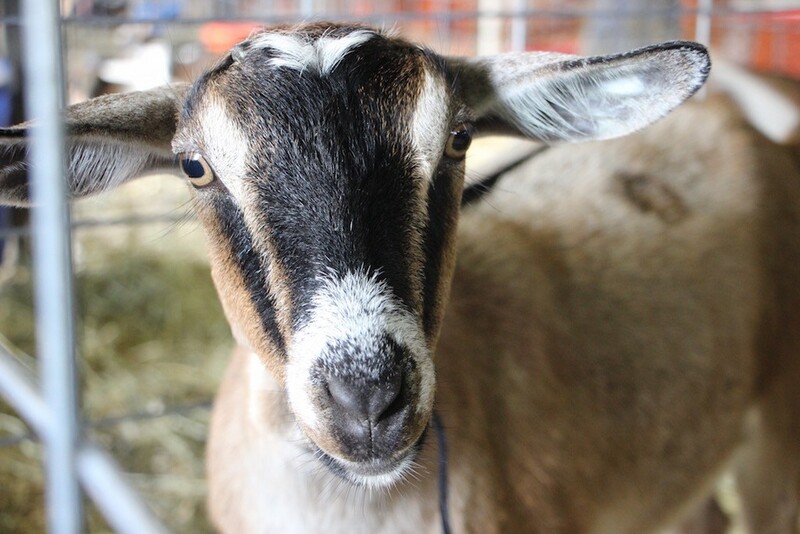 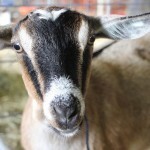 This goat couldn't resist getting his close up at the Summit County Fair. 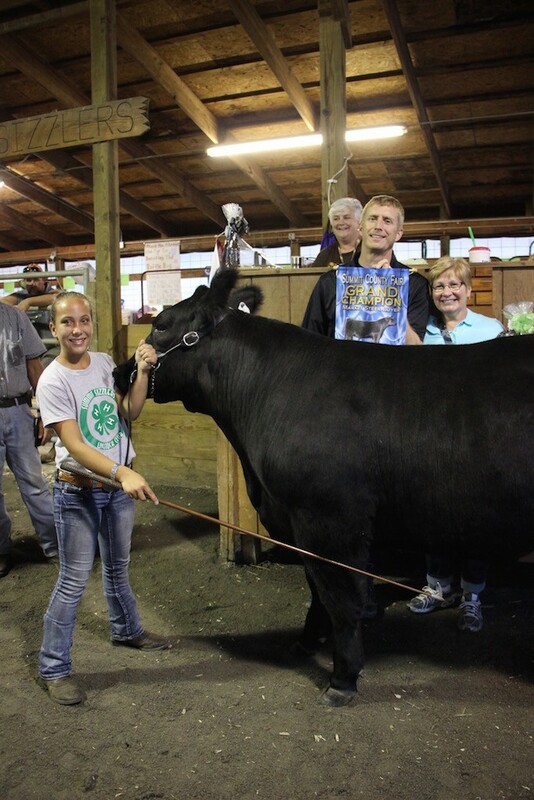 The Summit County Fair grand champion market steer, weighing 1,190 pounds, was shown by Makala Jones and purchased by Glenn and Karen Leppo of Leppo Rents for a new record of $4.50 a pound. 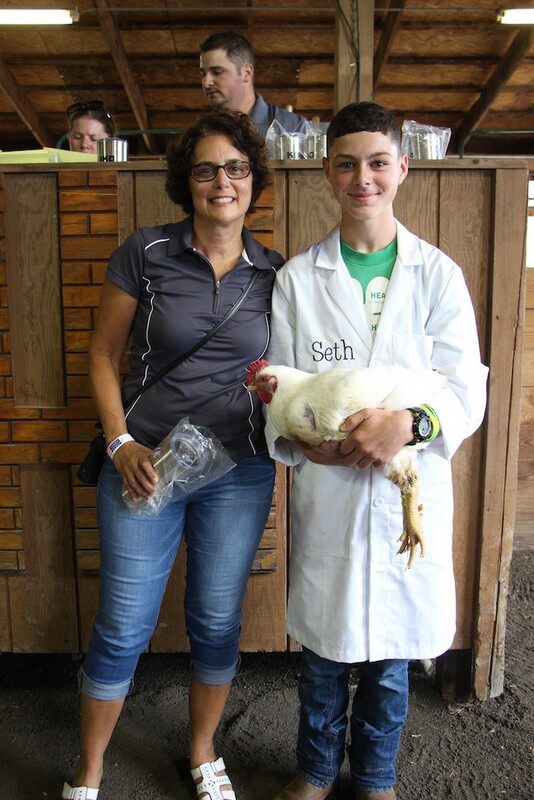 The Summit County Fair grand champion market chicken, weighing 27.08 pounds, was shown by Seth Frient and purchased by James M. Brennan DDS Inc., represented by Susan Brennan, for a record $700. 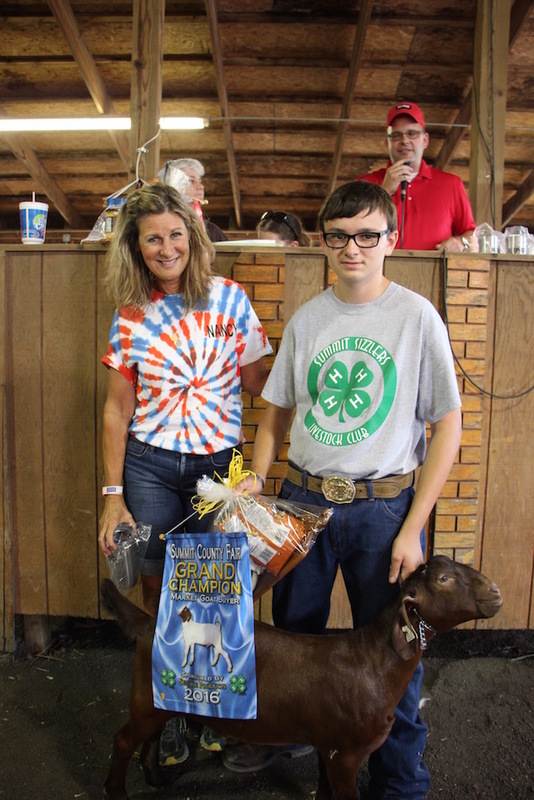 The Summit County Fair grand champion market goat, weighing 76 pounds, was shown by Corey Soulek and purchased by Ron Marhofer Auto Family, represented by Nancy Marhofer, for $650. 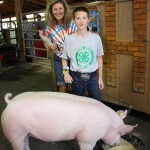 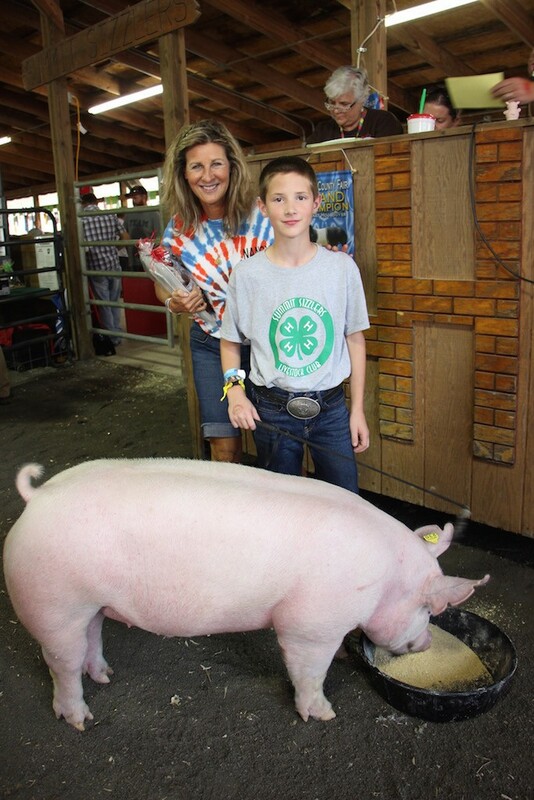 The Summit County Fair grand champion market hog, weighing 281 pounds, was shown by Luke Coblentz and purchased by Ron Marhofer Auto Family, represented by Nancy Marhofer, for a new record of $13 a pound. 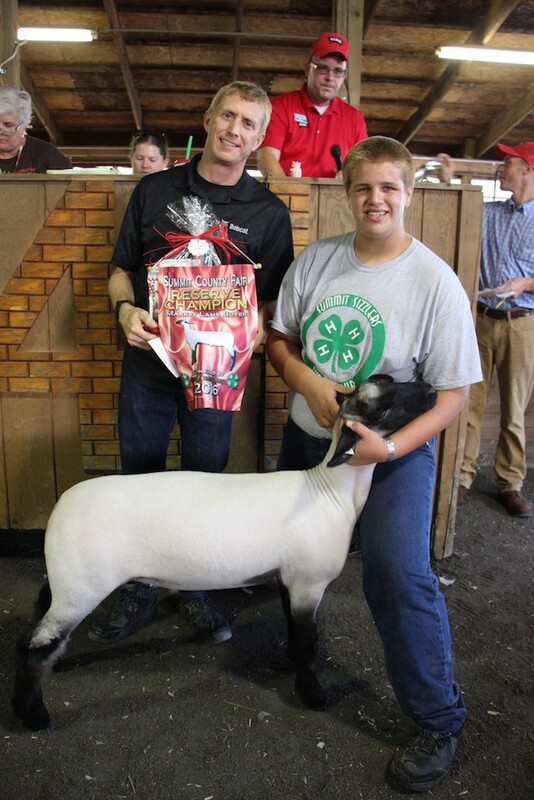 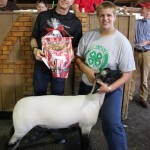 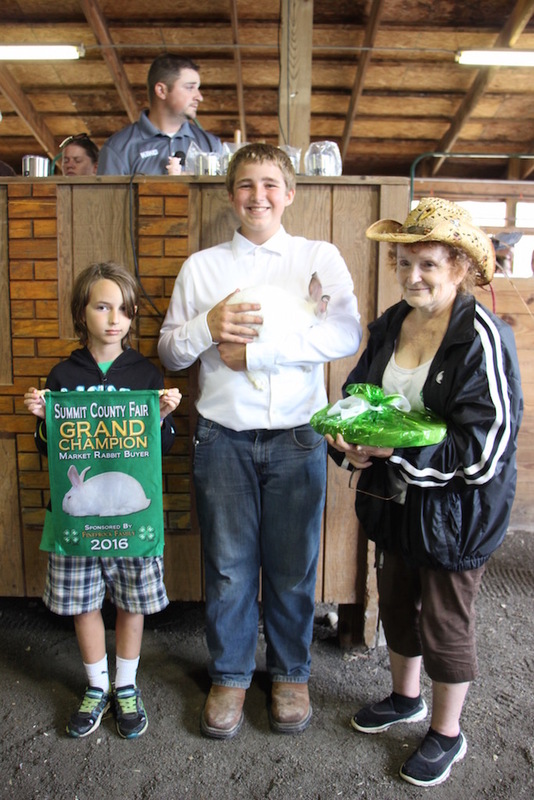 The Summit County Fair grand champion rabbit pen, weighing 16.1 pounds, was shown by Dylan Liepold and purchased by Brothers Construction, represented Dylan and Marilyn Wotoweic for $550. 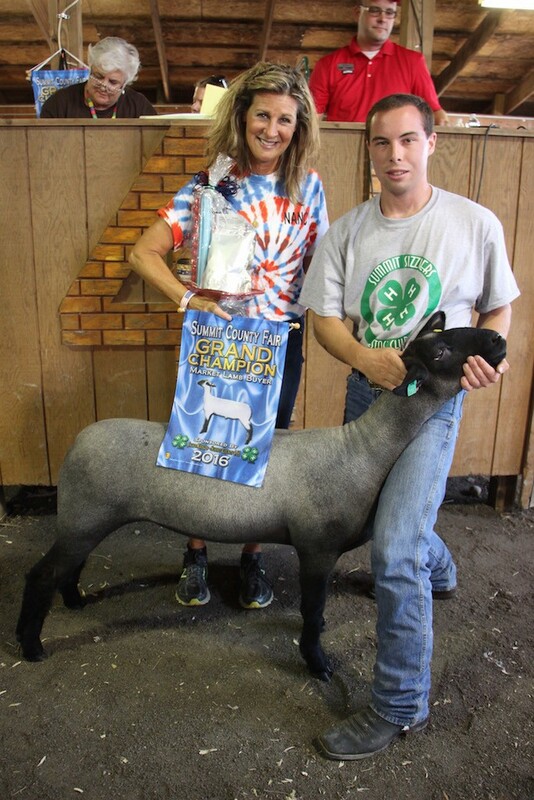 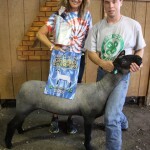 The Summit County Fair grand champion market lamb, weighing 144 pounds, was shown by Josh Conger and purchased by Ron Marhofer Auto Family, represented by Nancy Marhofer, for a new record of $10 a pound. 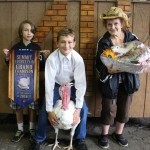 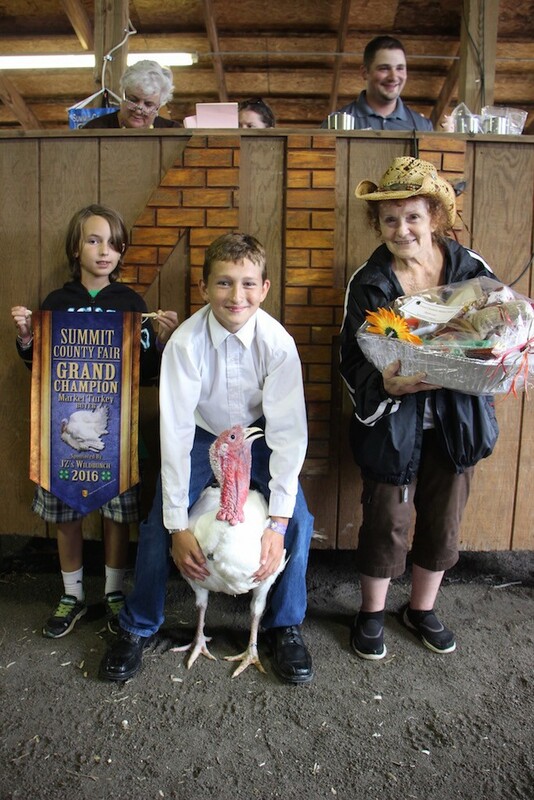 The Summit County Fair grand champion market turkey, weighing 31 pounds, was shown by Nick Messina and purchased by Brothers Construction, represented Dylan and Marilyn Wotoweic, for a new record of $725. 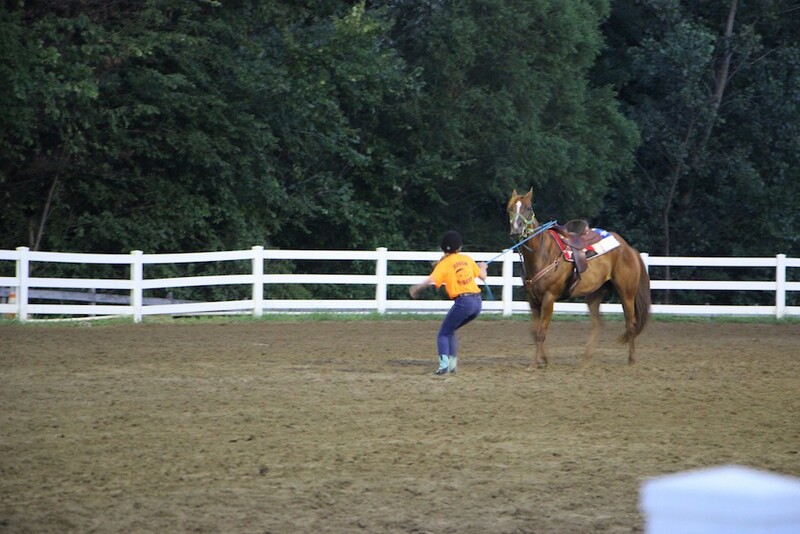 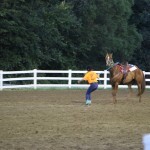 4-H'ers had a chance to have a little fun during a horse ride and run show at the Summit County Fair. 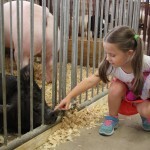 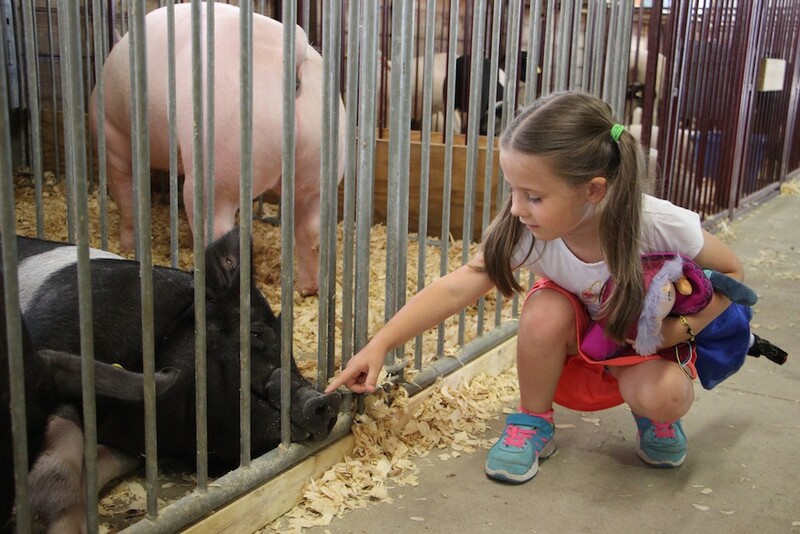 Natalie Colotto was excited, and a little nervous, to touch her first pig at the Summit County Fair. 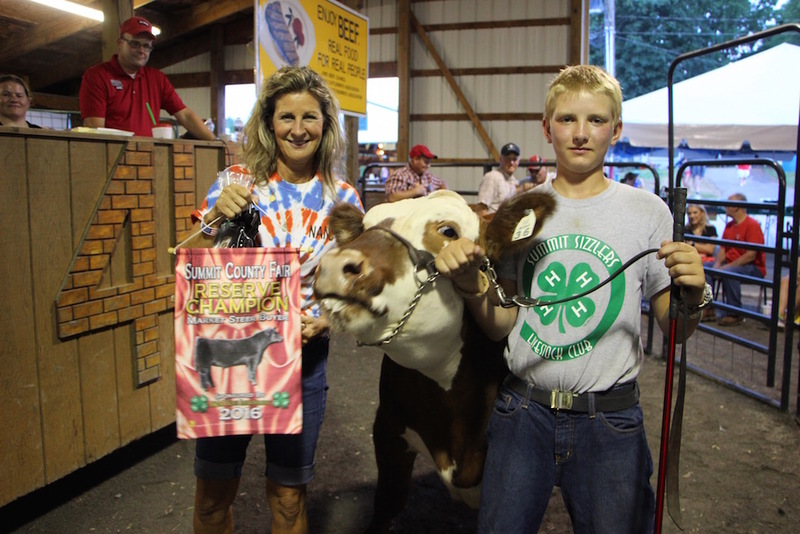 The Summit County Fair reserve champion market steer, weighing 1,120 pounds, was shown by Chase Sedensky and purchased by Ron Marhofer Auto Family, represented by Nancy Marhofer, for $3.50 a pound. 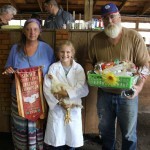 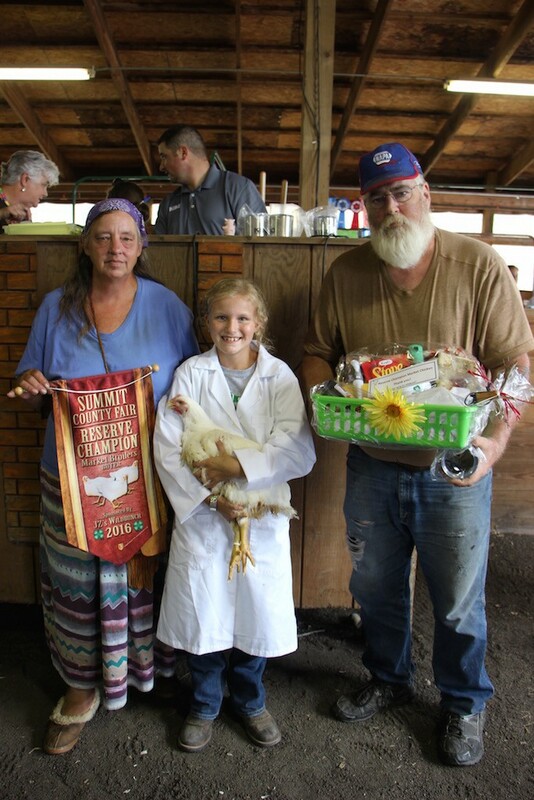 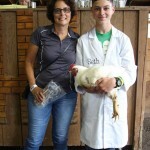 The Summit County Fair reserve champion market chicken, weighing 24.3 pounds, was shown by Emily Moore and purchased by Paul and Paula Hyde of Hyde Automotive for a record $300. 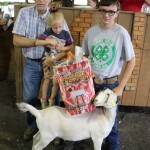 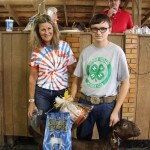 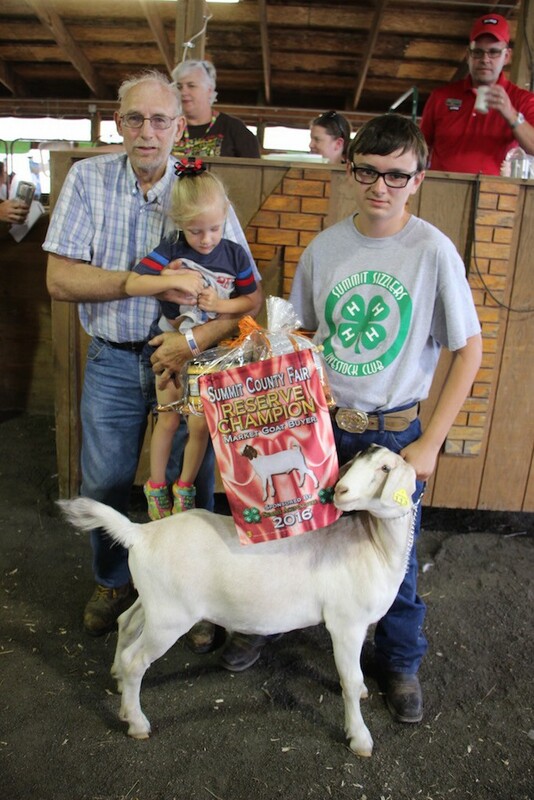 The Summit County Fair reserve champion market goat, weighing 89 pounds, was shown by Corey Soulek and purchased by Al and Leah Ahrens of Ahrens Club Pigs for $350. 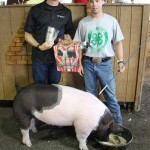 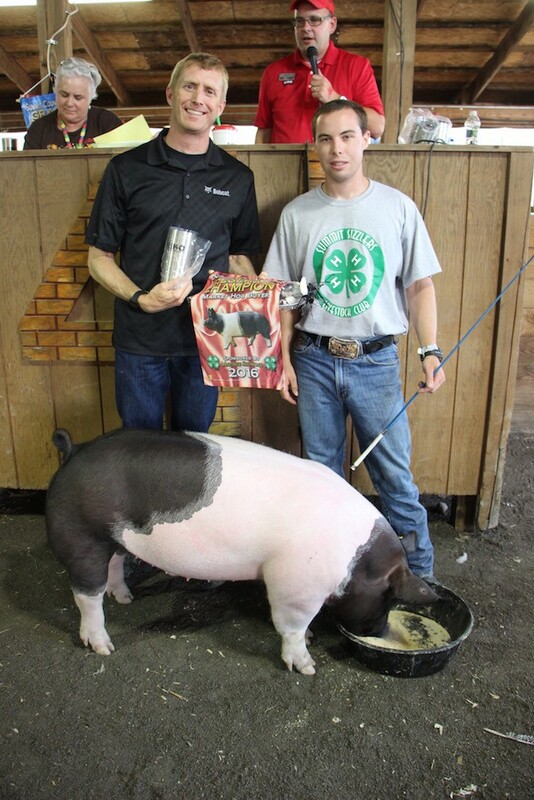 The Summit County Fair reserve champion market hog, weighing 275 pounds, was shown by Josh Conger and purchased by Glenn Leppo of Leppo Rents for a new record of $6 a pound. 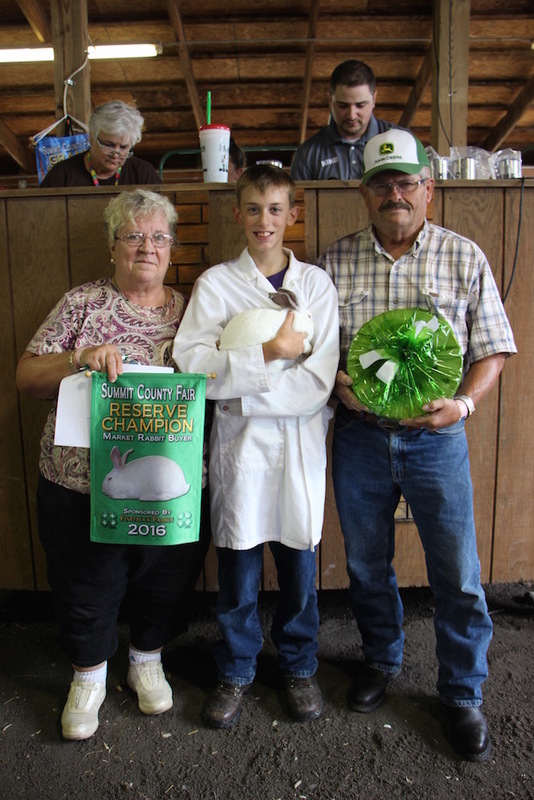 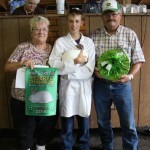 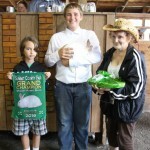 The Summit County Fair reserve champion market rabbit, weighing 13.2 pounds, was shown by Josh Herman and purchased by Bill and Gail Boldizsar of Stoney Lane Farm for $325. The Summit County Fair reserve champion market lamb, weighing 130 pounds, was shown by Cody Luther and purchased by Glenn Leppo of Leppo Rents for a new record of $5.25 a pound. 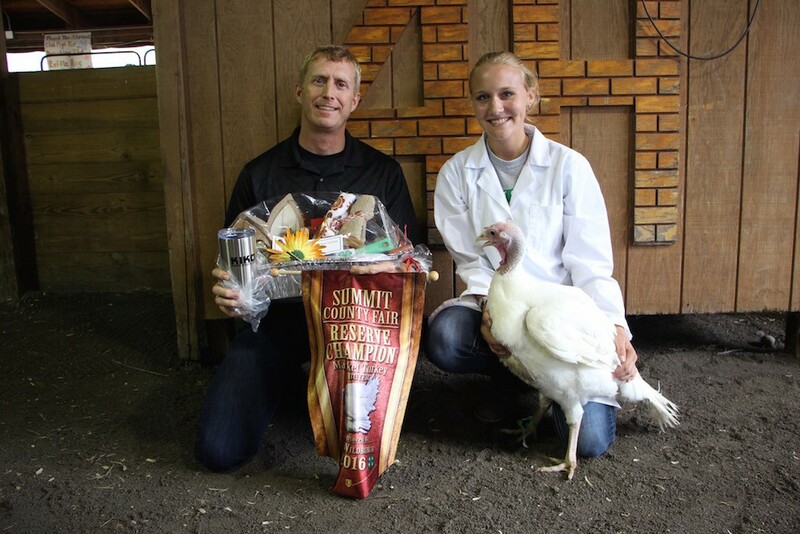 The Summit County Fair reserve champion market turkey, weighing 23 pounds, was shown by Cassidy Moore and purchased by Glenn Leppo of Leppo Rents for $300. 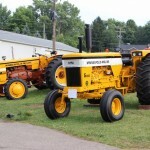 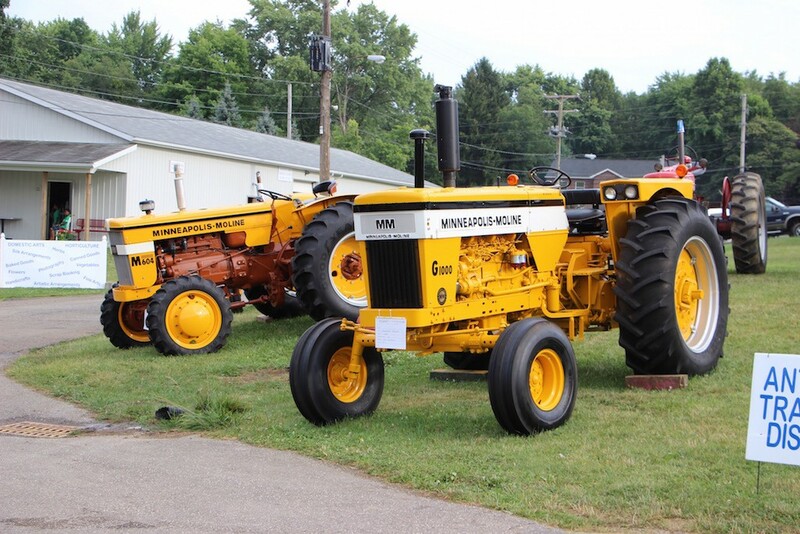 A pair of Minneapolis-Moline tractors on display at the Summit County Fair. 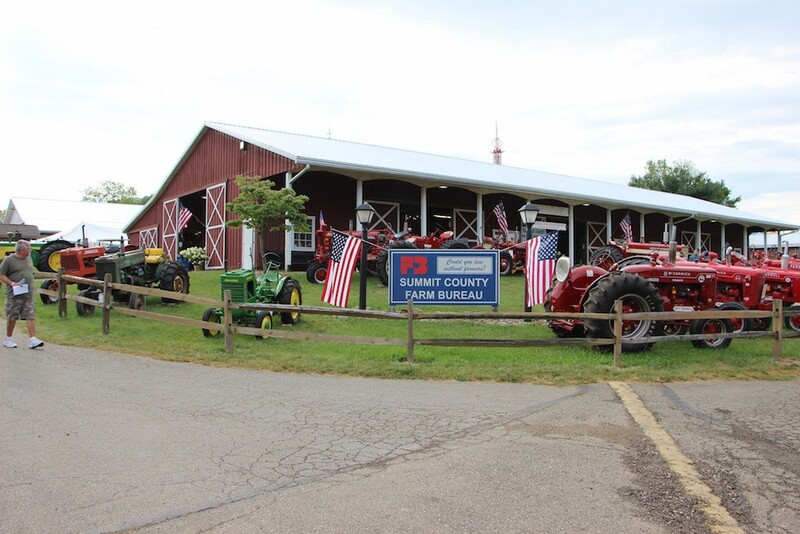 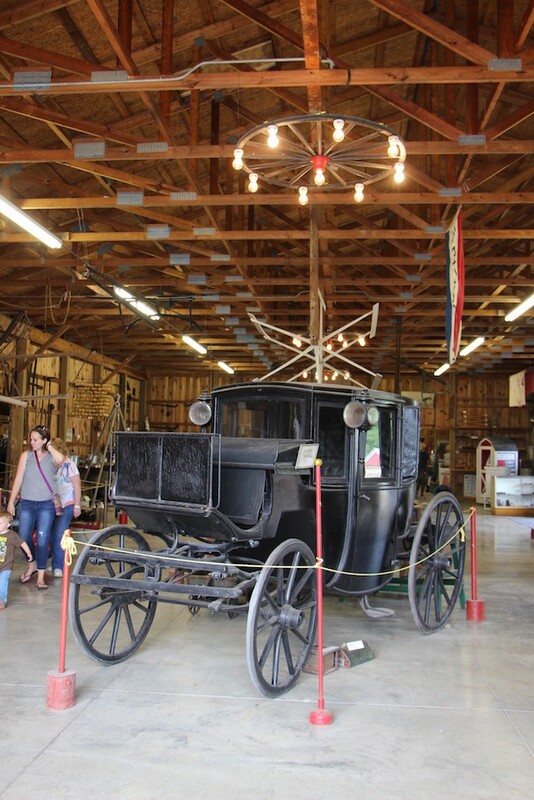 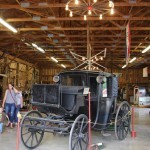 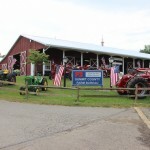 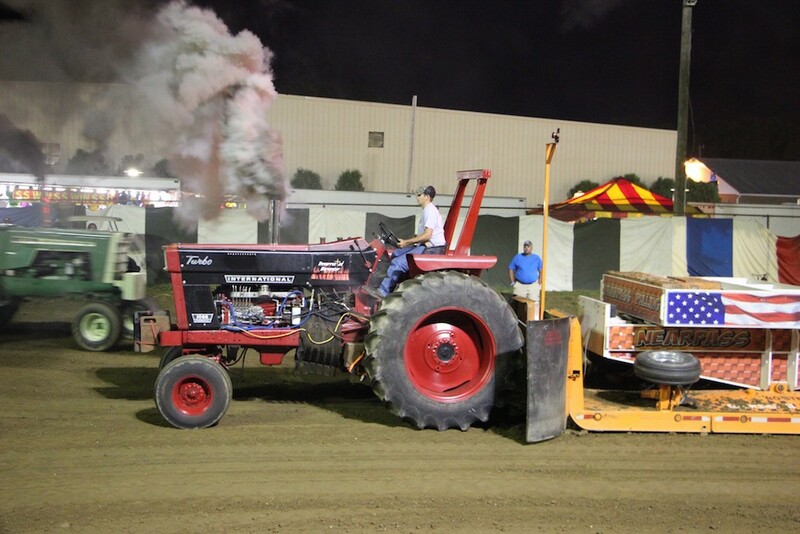 Jon Wiseman, of Somerset, Ohio, pulled his International 1066, the Resurrected Harvester, in the Summit County Fair open tractor pull, July 30. 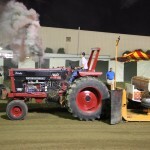 Wiseman won the 12,500 pound farm stock class with a pull of 319.7 feet.